Athena Colossus Saint Seiya Bandai. Condition is New. Dispatched with Royal Mail 2nd Class. Released exclusively in Japan by Bandai dated 2007. Set is in new condition with only the outer box showing signs of self wear. Sendo Seya. Miniature Toy Model. Building Toys. But it may delay due to Custom / Weather. GenderBoys & Girls. Japanese Animation. So rare collectors dream. Bought in Japan In 1989. 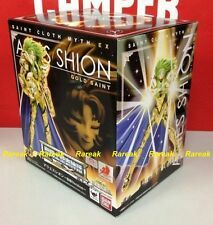 New listingSaint Seiya ARES Model kit Gold Cloth Bandai Japan Unmade! Athena Exclamation Scene Set. Saint Seiya - Knights Of Zodiac. It is out of production and hard to find even in Japan! (1) Copy the item number. Out of production. Size: Approx 10cm in height. 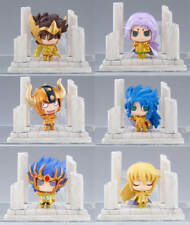 BANDAI Saint Seiya 2004 - Hades: Gemini, Aries, Aquarius, Pisces, Capricorn. 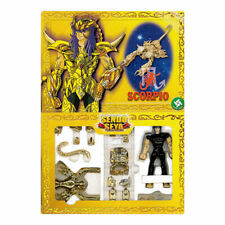 BANDAI Saint Seiya 2004 - Hades: Gemini, Aries, Aquarius, Pisces, Capricorn. 5 Brand new in box. Third in the series line-up is the powerful Gold Saint, Virgo Shaka. SAINT SEIYA EX 15TH ANIV. VERY limited available amounts left! SEALED PLASTIC! Includes a normal face, plus optional shouting and grimacing faces. (1) Copy the item number. Condition: Used - Good condition. Country: Japan. Only 12 Pandora Box !